The holiday season is fast approaching! It&apos;s that magical time of the year to shop for the perfect gifts, enjoy holiday-themed events and maybe even give Santa Claus your wish list. Hendricks County, Indiana, offers opportunities to experience such festive activities and more this weekend! But let&apos;s start this Weekend Primer with a unique Thanksgiving-themed event at Montrose Farms Alpaca Ranch. Lori Lovely, owner of Montrose Farms Alpaca Ranch, and Kailyn Santos, owner of 2 Crazy Ladies Catering, have joined forces in hosting this first-ever culinary event from 6-9 p.m. on Saturday. Chef Kailyn will showcase her talents by demonstrating the preparation of a vegan Thanksgiving-themed dinner. Afterward, this delicious meal is shared by everyone in a very intimate setting in the 142-year-old farmhouse located on the property. Montrose Farms, 3750 N. County Road 950 East, Brownsburg, is considered a historic farm in Hendricks County. Be sure to ask Lori about it&apos;s interesting history. 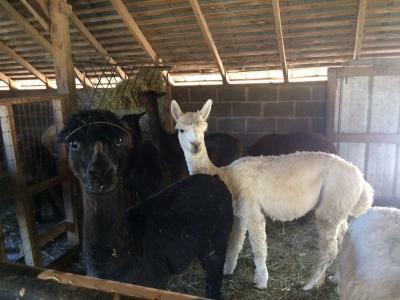 Cost is $50 a person and includes a tour of the alpaca barn and swag bags with vegan recipes and items. Participants must be 21 years or older. Register now as there are only a few spots left. Local families enjoy kicking off the Christmas season with this old-fashioned event. Beasley&apos;s Orchard, 2304 E. Main St., Danville, hosts this annual event over the next two weekends that has become a holiday tradition for so many. Their 150-year-old Civil War-era barn market boasts the perfect holiday ambiance. Gorgeous holiday decorations, fireplace warmth, scents of pies and cookies baking and Santa on an authentic, antique one-horse sleigh create a winter wonderland. Jolly Old St. Nick is ready for wish lists! A beautiful photo setting with Santa that includes professional photos is an option. Click here for order forms. Kids will love the Christmas crafts and festivities throughout the event. Adults can enjoy holiday sales, gift boxes, fruit basket orders and more. This free event will be held from 10 a.m.-2 p.m. on both Saturday and Sunday. If you can&apos;t attend this weekend, you have another opportunity at those same times on Nov. 24 and 25. Enjoy three incredible days of savings this weekend inside the huge Gilley&apos;s Antique and Decorator Mall, 5789 E. U.S. Hwy 40, Plainfield. 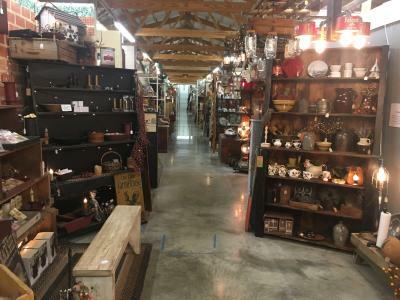 Gilley&apos;s Holiday Open House will mark its 25th year with incredible savings on various antiques, crafts and one-of-a-kind consignment items you won&apos;t find anywhere else under one roof! 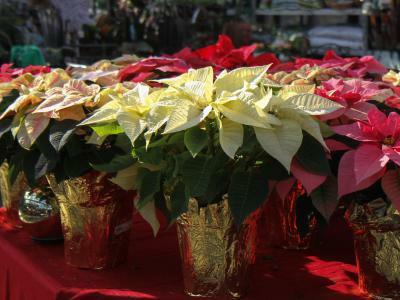 Shop for decorations, gifts and much more from 10 a.m.-5 p.m. Friday through Sunday. Here is another opportunity to shop for unique Christmas decorations and gifts! Frazee Gardens, 3480 N. State Route 267, Brownsburg, has quite a selection of cut trees, Christmas plants and arrangements. New this year is their Crazy Frazee Christmas tree! Hundreds of fun and one-of-a-kind ornaments will be hung from the tree. This free event takes place from 9 a.m.-5 p.m. Saturday. You can support the Hendricks County Food Pantry Coalition by donating a canned food item or $5. Santa will make an appearance from noon-3 p.m. Pictures are free, but be sure to bring your own camera. The Central Indiana Division of the National Model Railroad Association presents this annual model train show from 10 a.m.-3 p.m. on Saturday at the Hendricks County 4-H Fairgrounds and Conference Complex in Danville. 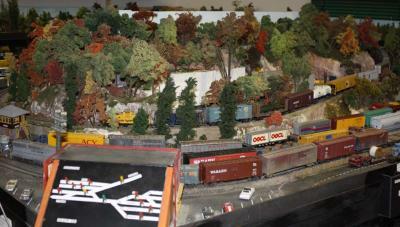 This event includes about 100 dealers featuring train cars and locomotives in every scale, as well as a a wide selection of accessories. Operating layouts, clinics, food and more will also be available. Join the fun for just $3 a person or $5 a family. I hope you enjoy getting into the Christmas spirit. If you are in search of things to do in Hendricks County anytime, you can check out the Visit Hendricks County Events Calendar.